Dark Souls 2 is an action RPG game developed by ‘From Software’. Its prequel was an instant hit on its release in 2011. 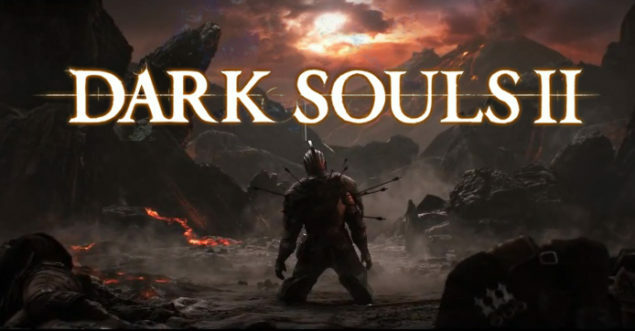 Dark Souls 2 was announced on 7th of December 201 and released across PS3, XBox 360 and P.C. platforms in march of 2014. The game averaged a user score of about 8.5 over multiple websites and ratings with mixed views of people saying the it was a traditional game which did not ‘Live up to its prequels expectations’ and others who simply admired it. This part is for the Dark Soul lovers. Guess what, Dark Souls 2 is coming to PS4 and XBox One in an enhanced version called Dark Souls 2: Scholar of the First Sin (announced earlier today). The release will come with three add-ons and in-game enhancements. Firstly, the PS4 and the XBox One versions feature updated graphics coupled with “an expanded story featuring additional in-game events and NPC character along with new deadlier enemies and game-play improvements.” These will also be available on the PC version on the Direct X 11. The 11.0 version of the game by ‘From Software’ has game-play improvements and revised item descriptions. Players of the previous version of the game will get this improvement free of charge on P.C. The new version will also be available to PS3 and XBox 360 users.For a more comprehensive look at the new version you can also check out the announcement trailer – URL. Dark Souls II: Scholar of the First Sin will be released on April 7, 2015. It would be interesting to see what significant graphic updates (if any) are present in the game. The difference between old gen and current gen is usually night and day because of the hardware difference, but in this case it should be compounded further by the fact that they are releasing it as a different version.